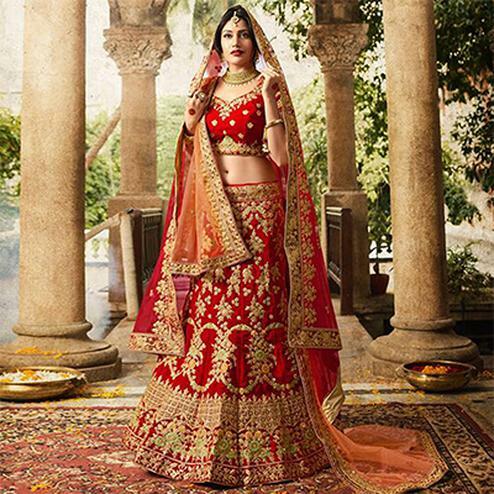 Finding your dream wedding lehenga is not as easy as it looks. 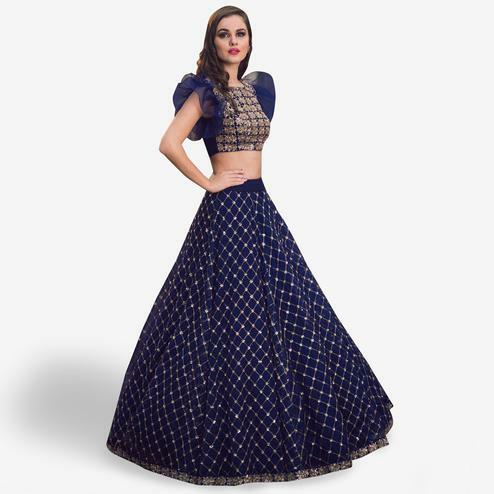 Lehenga cholis are designed with great hard work and dedication. 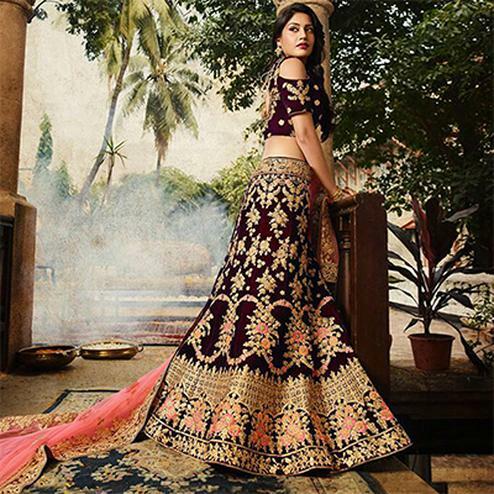 Fashion designers clock thousands of hours in deciding just the designs they want to incorporate in their lehengas. 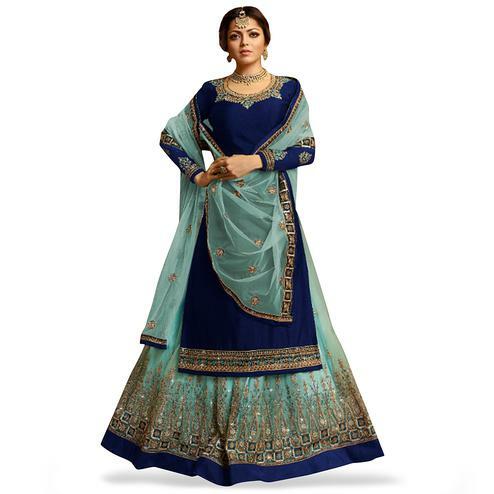 All the designs are such intricately embedded in the fabric that makes the lehengas beyond compare. 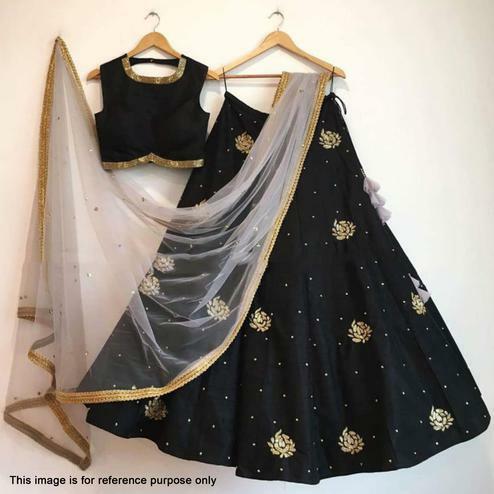 And thus it becomes difficult to decide which one to opt for, same is the case with Peachmode, our lehenga designs are so attractive that you might get lost by just looking at them. 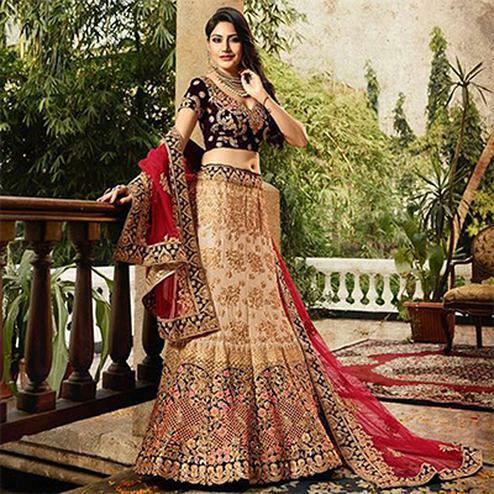 We have made your wedding needs our command and have come up with varieties of lehenga online. For those beautiful brides to be out there, you do not have to give yourself stressful days anymore. 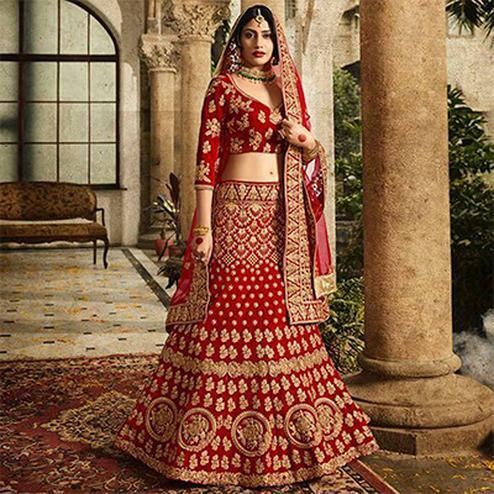 We have a huge bridal lehenga collection, designed specially for you. 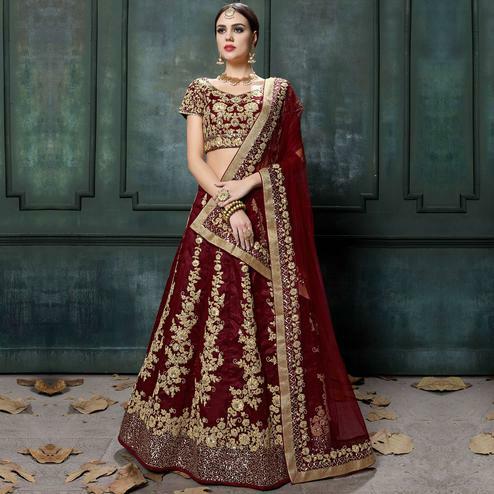 Our bridal lehenga designs are so elegant, charming and stylish that will suit any body type, skin tone or any height. Every bride deserves to look heavenly on her wedding day and we want nothing less. 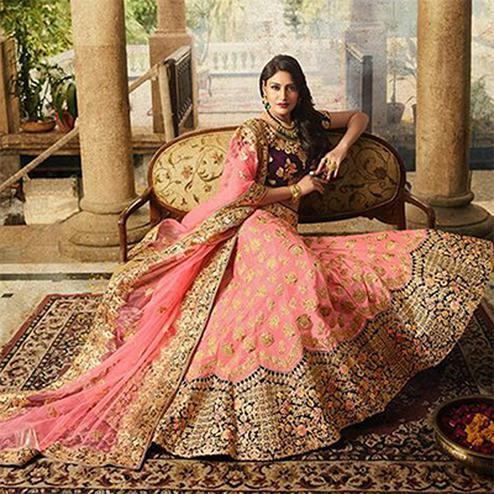 That is the reason we have fashion designers and vendors that specialize in bridal wear. Each and every outfit is made with perfection and in galore. Yes, now you have all the time to put that face pack on and still go shopping without any strain. We have huge variety in colours therefore, if red’s not your colour you may gladly ditch it and go for your favortie one. After all it’s your day. Choose the right fabric. 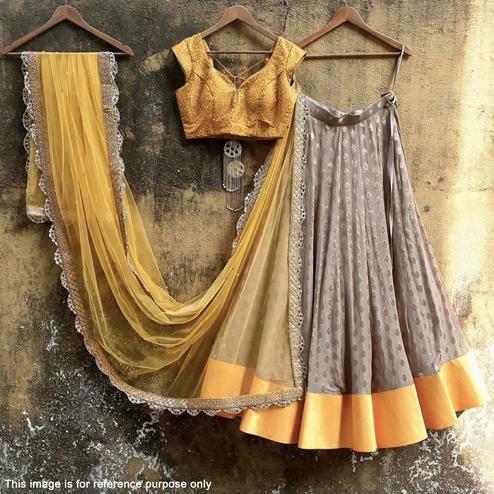 It’s not just the designs and the colour, fabrics are the major deal breaker. 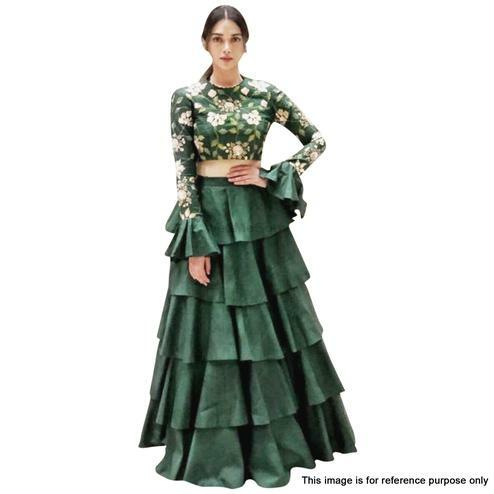 For example picking velvet or other thick fabrics on a summer wedding would just be uncomfortable. They look best and comfy only during winters. 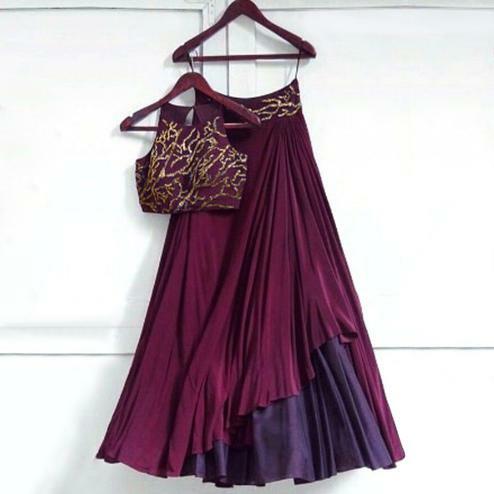 Your choli designs will be the center of your photographs, choose them wisely. Mix and match girls. 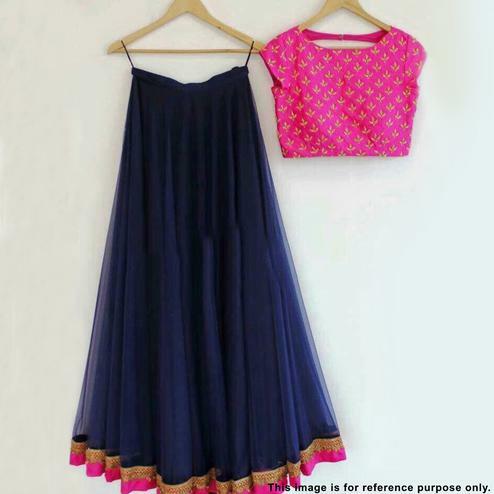 Gone are the days where you have to match your ghagra with the blouse and chunni. Contrasting colours look stunning in the outfits. 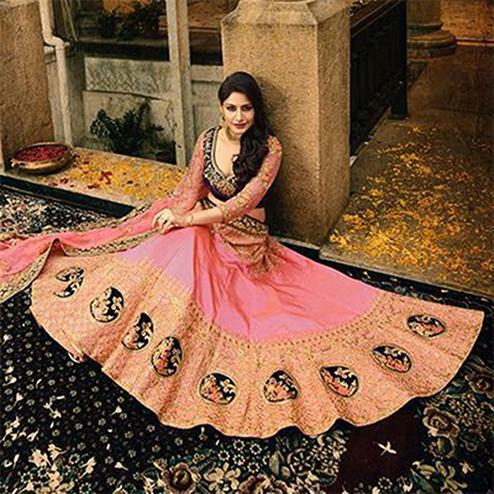 Every wedding season the designs and colours evolve and the fresh designs come in. Peachmode is a hub for latest trends. 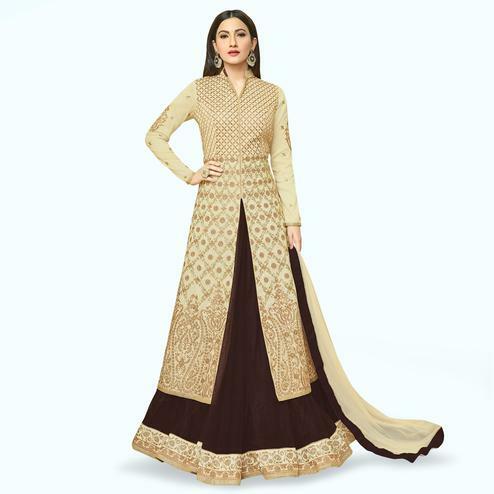 You will find latest lehengas online only here. 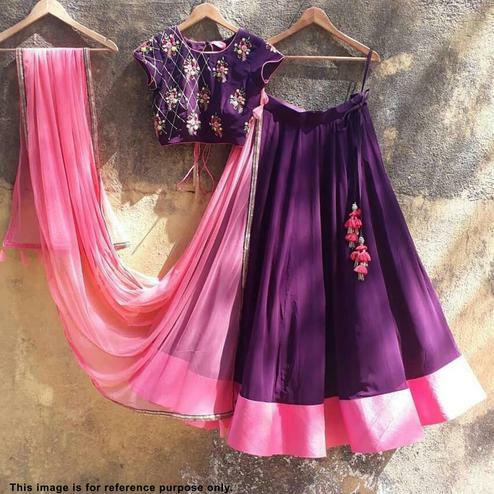 These lehengas with price options are irresistible. Yes, they are budget friendly. Log into Peachmode and see it yourself.